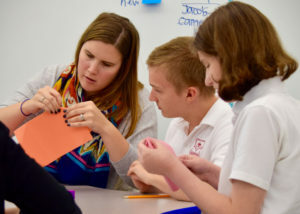 During Advent, the high school students at the Academy participate in community service projects in preparation for the coming of the Savior. 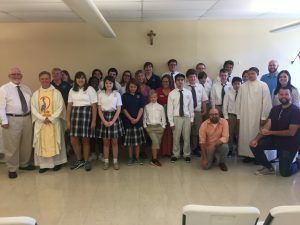 This year, Mrs. Higgins’ class went to the Missionaries of Charity soup kitchen in North St. Louis to assist the sisters with their lunch serving duties. The Missionaries of Charity was established by Saint Teresa of Kolkata and is currently run by the sisters all over the world. 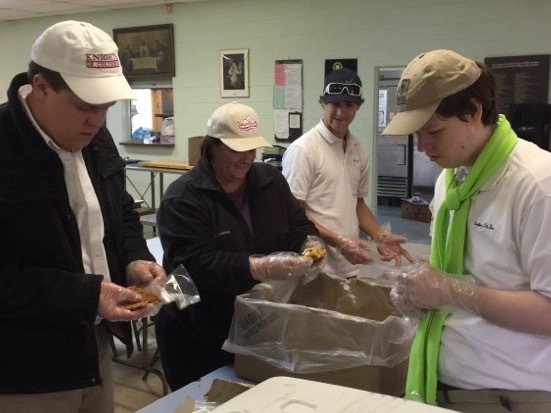 The students spent several hours preparing the lunch, including sorting canned, baked, and other donated goods, making Christmas cards, and even going outside to rake leaves around the property. When it was time for lunch, the students participated in the prayers and gospel reading before serving lunch to all of the indigents. Mrs. Eckhardt’s class went around the corner from the Academy to Sunrise Senior Living on Clayton Road to spend time with the residents. 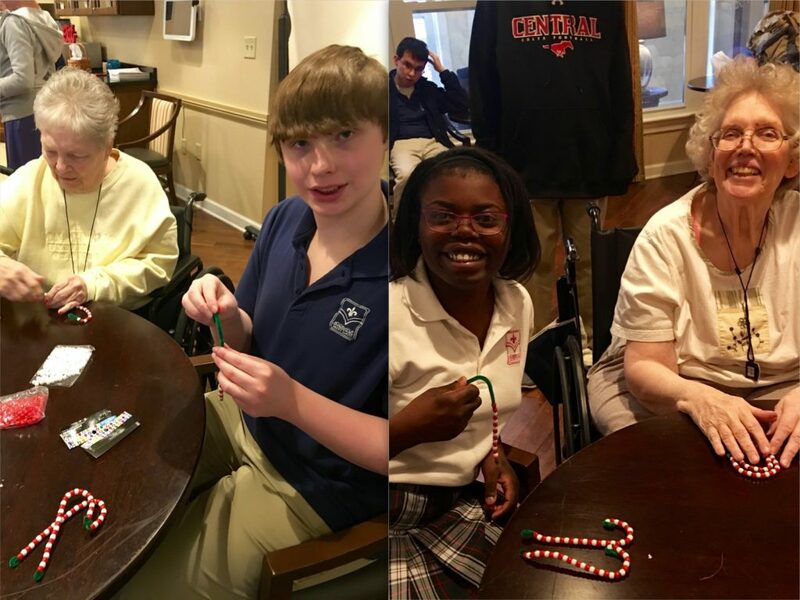 The students brought supplies to make candy canes out of beads and pipe cleaners for the residents to hang on their unit doors for the Christmas season. While working together, the students and the residents spread Christmas cheer and joy!